Click here to check out our Vimeo page & the collection of all our videos from the past few years. Some good memories in there for sure… enjoy !! Liam’s long awaited signature LFH grips have arrived in the country & will be available in stores across Australia this week. If you live outside Australia then expect them in your country in the weeks ahead. The LFH grips are longer than the average grip to accommodate Liam’s massive hands & to be more in proportion to today’s wider bars. 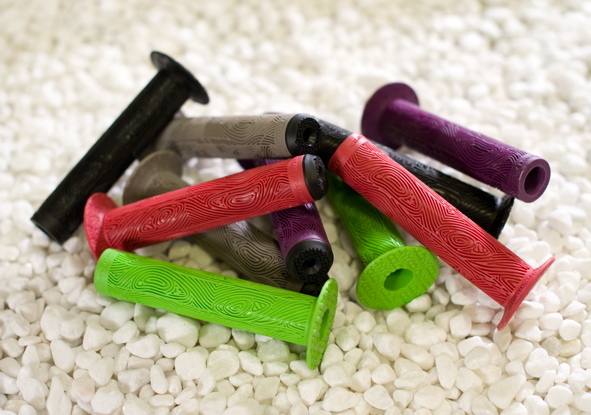 Made from a very soft, yet durable compound, these bad boys will serve you well. They also come with Colony push-in style plastic bar ends to finish off the package. Myself, Mick Bayzand, Zac Miner, Marnold & Liam Fahy-Hampton (although injured) will be there flying the flag for Colony. Should be a fun day. See you there !! 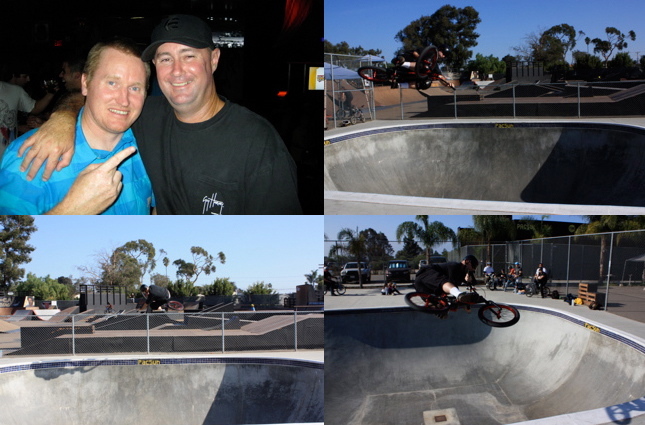 I was so stoked to have met Brian Blyther in Vegas earlier this year. He is one of my earliest favourite riders ever. It was so cool to find him as a cool person as well to boot. So much so, that I told him I would honoured if he were to ride some Colony parts. With the help of Joel Gurga from Tip Plus, we hooked Brian up with a huge Colony package. He is now rocking almost every Colony part we make, stoked. Colony fan, Jack Button sent in these photos of a Colony clock he made along with a one off Colony logo to suit. Thanks for the support mate !! 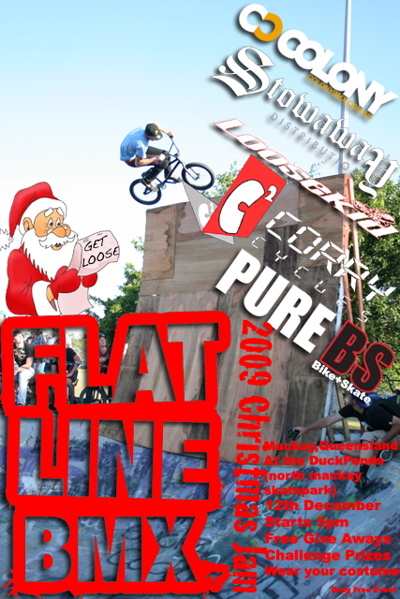 Click here now to out out Shane’s Fat Fav’s over on the Fat BMX website. 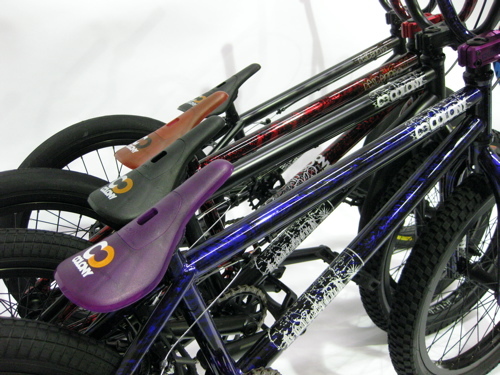 Midland Cycles, in Western Australia, carry our full range of products & do it the right way as well. Nice clean displays, good customer service & great product knowledge are just the start. If you’re after something Colony in the Midland’s area of Perth, then these are the guys you need to go see. 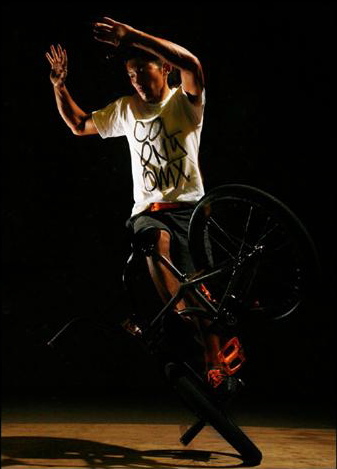 Bruno Faucon has a bike check over on the Data BMX site. Click here now to check it out. Tim Wood is doing a bunch of clinics in & around the Gold Coast over the summer & the first one is set for December 5th at Tugan skatepark from 10am. There also is an all ages jam from 11.30am till 1pm with prizes from us here at Colony. So come ride with Tim on some ramps slightly smaller than what he is riding below. 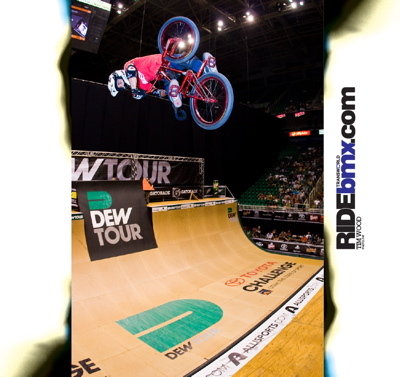 Click here while your at it, if you want a desktop screen save of Tim courtesy of Ride BMX. Here is a video from the weekends box jump comp at Rampfest on the weekend. Some crazy stuff in there… but where was Pete Radivo? Is something I’ve heard Shane Conlon say on occasion but I am sure he doesn’t really mean it. Since he is organising a comp there on December 12th, I guess he really does have a soft spot for the park. Check the flyer below for more details. See you there !! The guys over at Crossley Cycles have put together a custom Colony & you can can check it out by clicking here now. 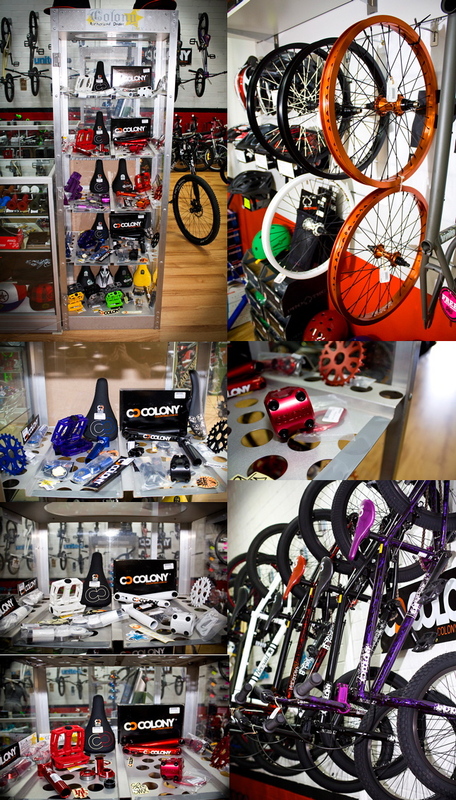 Crossley Cycles are one of the original & longest supporters of Colony. Thanks Richard & Mick !! 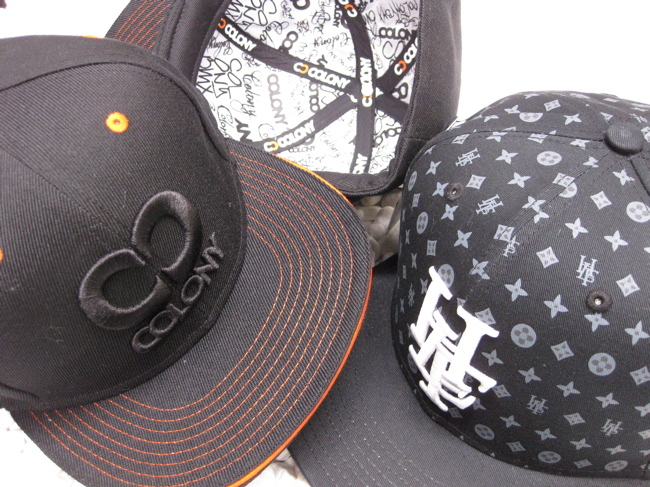 We have two designs of fitted caps available now at a store near you. Our Logo & the LFH design come in an array of sizes for pretty much everyone out there. These two designs are limited editions & once they’re gone, they’re gone. Click here to read more about them now. Liam Fahy-Hampton’s signature LFH grips are due into Australia this week & will be available in stores the first week of December across the country. Other countries including the USA will be at about the same time as well. Also due in at the same time is the Focalpoint / Colony seat. These are a strictly limited edition seat & once they’re gone that’s it forever, so get one while they last. Please note that these seats are only available in Australia. 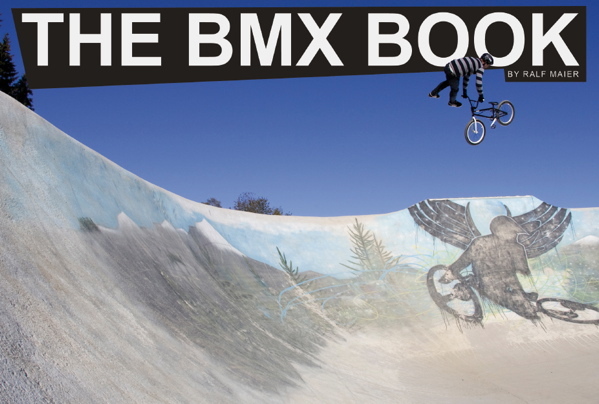 Paddy Gross has scored the cover of a photography book coming out called, The BMX Book. The book’s author is Ralf Maier from Koln, Germany. I am really looking forward to seeing this when it’s out. There is a release party set for December 4th in Koln & you can find out more by clicking here now. Congrats on getting the cover Paddy !! Paddy has also been keeping very busy with demo’s in Belgium amongst other places across europe. Paddy is one busy man !! Paddy also just put together a brand new Gnarkill frame with all new parts. Photos on that soon. 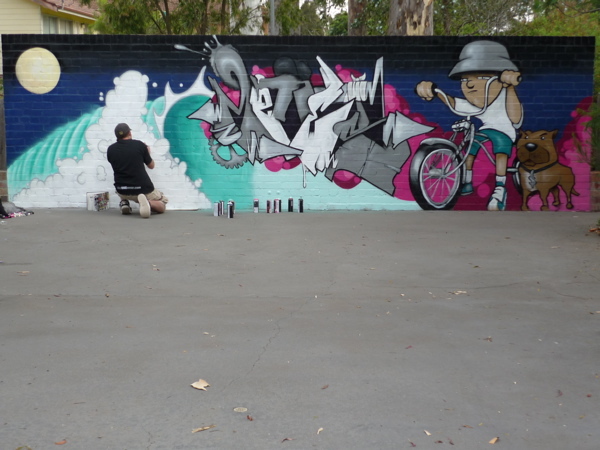 Simon O’Brien wrote in to say he recently had the wall at his riding spot done with some art. Should make for some really cool photos & footage there now. 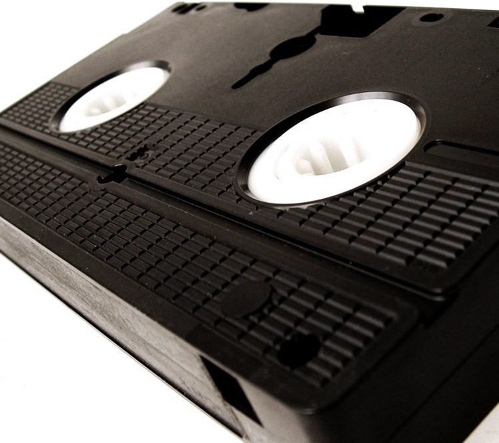 Speaking of footage, Simon has been hard at work on his new solo DVD, can’t wait to see that piece. 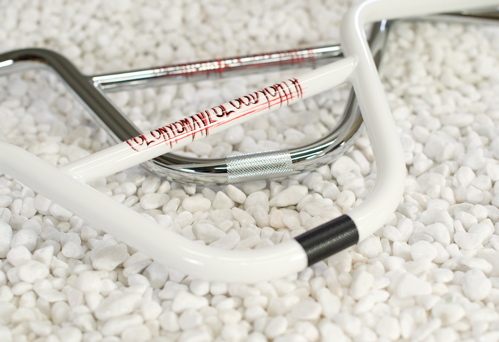 Nick Richardson’s signature bars for 2010 have grown a little & are now taller & wider. They are also available in all our new colours. Check them out at a shop near you now. Click here now for more info. 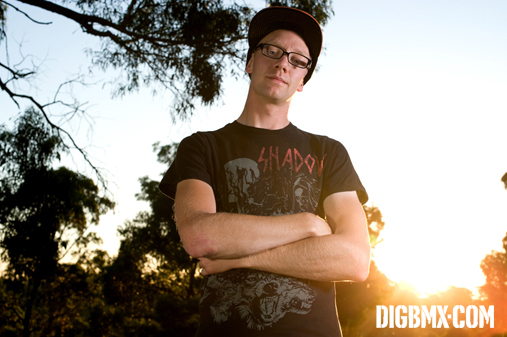 Cooper has a cool interview over on the DIG site. Click here now to check it out. 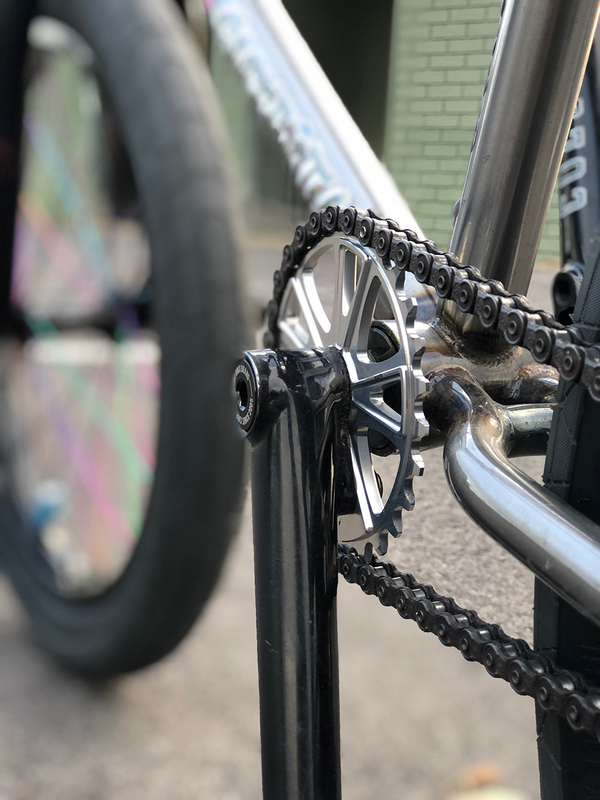 If you live in Australia or the USA, our 2010 complete bikes are once again available with shipments arriving in both of these countries right now. Check with your local Colony stockist now to get yours before they are all gone once again. Click here for the full deal on both our Descendent & Endeavour for 2010. 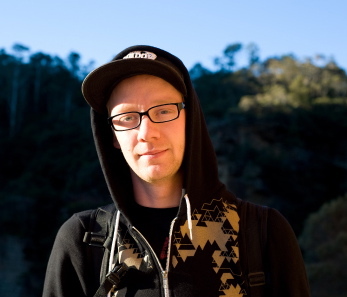 Benny has a FAT FAV’s over on the Fat BMX website. Click here now to check it out. So stoked on the work Cooper Brownlee put into this catalogue. Full magazine styles going on… check it out. Justin has been telling me that this was coming out for a while now & it doesn’t disappoint at all. Really clean riding, awesome style, well filmed & edited. Thanks for putting in the work Justin. Shane Badman put together this video from his travels throughout Europe in August earlier this year. Enjoy. 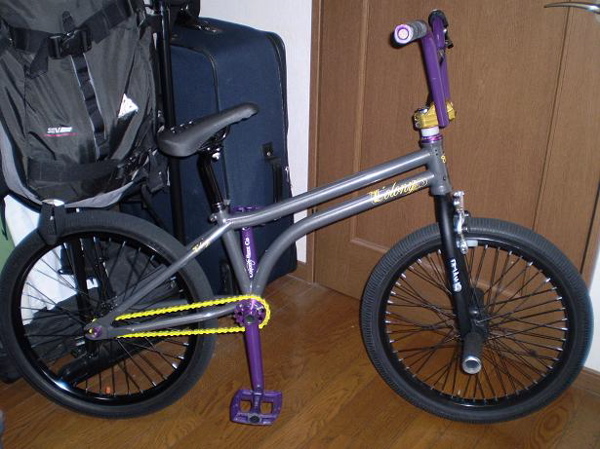 Shintaro Misawa just recently put on some DejaVu forks on his bike & the front brakes are back on. Interesting. We will also have some more news on Shintaro soon… so keep an eye out for that. 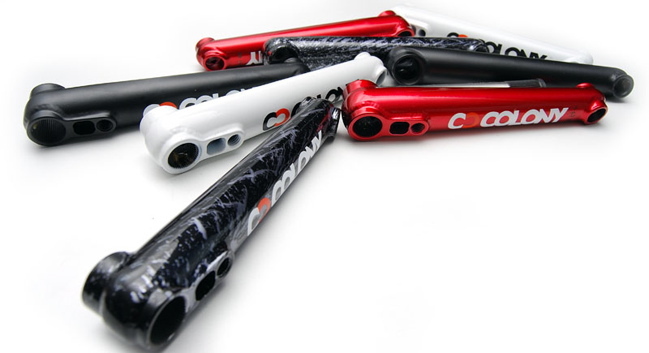 Our Colonial Cranks have had some small refinements to them for 2010. Mainly around the sprocket mount area as you can see in the photo below. They also feature our new logo & new colours. Check them out at a shop near you now. 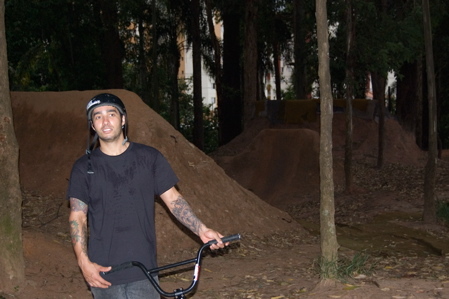 Valvoline is back home in Brazil now & sent through some shots of him riding the Continental trails. He says it’s great to back home & seeing all his mates. Thanks to Mauricio Cassulino for the photos. 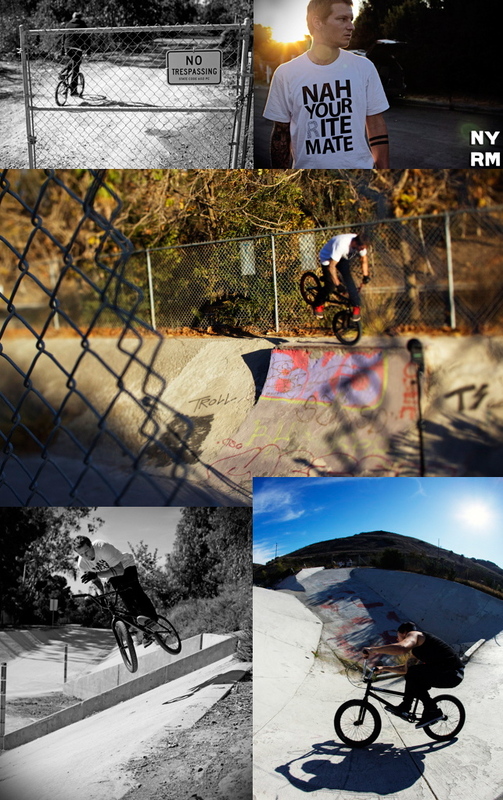 Ryan is over in Cali right now visiting Vans & getting some riding in while taking advantage of the sunshine over there. Check the pics below from a recent session with Colin Mackay (bottom right). Word. Summer is coming & so are all the jams around the country. 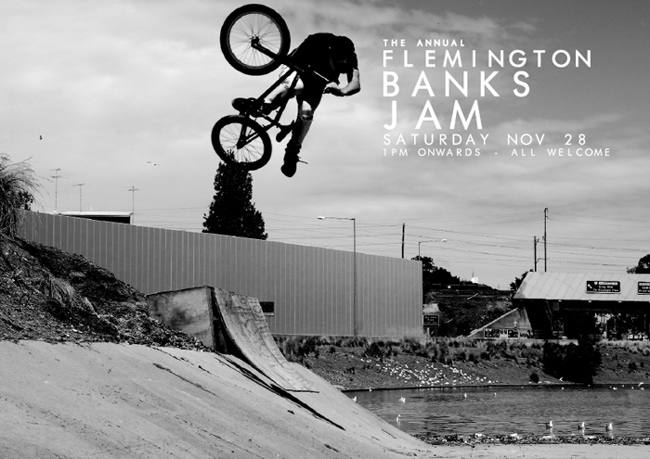 The annual Flatline BMX jam in Mackay, Nth QLD is on once again on & should be a blast. Check the flyer below for details. 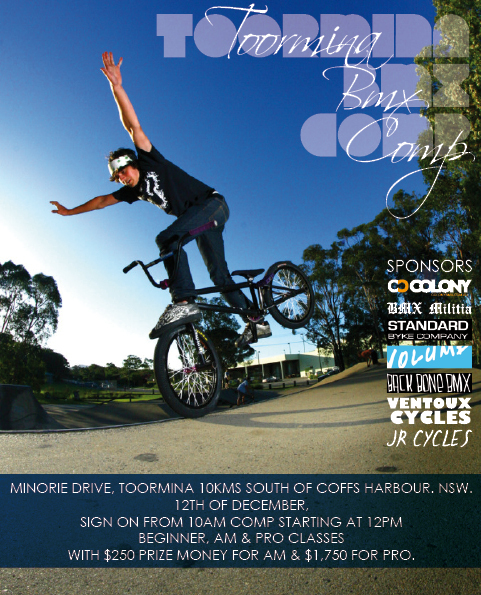 We are supporting the event with prizes & should hopefully have some team riders up there on the day. Our main man Cooper Brownlee, launched his own portfolio website last night & you can check it out by clicking here now. It’s really well done & has some interesting stuff to check out. Yeah Coops ! !